Is Aaron Cook That Dumb? I realize the Rockies fly a little different than you and I. Just work with me here. Mainly because it happens every damn time this team goes on the road. Focus. Fundamentals. Execution. All of them. Gone. On the road. Blame the airlines. It sure isn't Jim Tracy's or Don Baylor's or anybody else in a Rockies uniform's fault. I don't care what they say, the transition from altitude to sea level just kills #Rockies batters. as @TroyRenck points out, 7 Ks in 9 outs. But you can only take that excuse so far. For example: That's James freaking McDonald handing you your lunch. James McDonald. That can't happen at any ballpark, regardless of where you played the day before. Special note to Pirates fans: McDonald probably won't be that good again in a Pirates uniform. I'm sorry. The Rockies just have a way of making average pitchers look amazing. Be careful to set your expectations too high. Also -- you have to find ways around it. Those ways include focusing better, pitching better, and playing alert defense. None of that happened in the early going of tonight's game -- which is when this game was decided. To summarize: The Rockies were never in this baseball game. Pretty hittable. Hung out to dry by his defense a couple times, but overall nothing special. Didn't keep his team in the game at all. Gone. I can't write anymore on this. It wears me out. Jason Hammel's brother Bill lives in Pittsburgh according to his Twitter. Jason Hammel was on Twitter for two days but closed his account. Jason Hammel is better at pitching than Zach Duke. Or are the Rockies just unintentionally portraying him that way? If we're to believe the stories we're hearing today, then Aaron Cook has been pitching hurt/injured for the last month. You know that nagging turf toe problem that bites him from time to time? It's back again, and it's causing Cook to alter his mechanics and elevate his sinker on a regular basis. One of two things are true. 1. The Rockies are lying. They can say they're not making any excuses all that want, but I wouldn't blame them for wanting to defend the all-time winningest pitcher in franchise history. I would prefer honestly of course, but if Cook is that respected in the clubhouse/front office that they would lie to cover for him, fine. Just know that covering for him doesn't make him a hero in the fans eyes. It makes him look like an idiot. If they are telling the truth, and Cook has been pitching injured. 2. Aaron Cook really is an idiot. BSing your trainers and coaching staff is about as unprofessional as it gets. Your job as a pitcher is to give your team the best chance to win. When you're hurt, you can't do that. When you can't do that, you tell someone and get the hell out of the way. And if that's not enough. Cook admitted that he had altered his mechanics as a result of the toe — which hurt right at the end of his delivery when his right foot raised up in its finish. Cook was starting to throw across his body. That’s what happened last year and he ended up hurting his shoulder. He hopes to return in late August or early September. You already f***ed up your shoulder one time trying to pitch through this exact same problem. Now you're doing it again? Are you serious? Cook is a guy I respect almost endlessly. He battled his way back from blood clots in his lungs. He's pitched a ton of quality innings and held the rotation together through a couple rough seasons. He has been a quality guy and was a stand up guy when he passed the torch to Ubaldo. I have a very difficult time believing he would be as selfish and desperate as this news portrays him to be. And I also have a difficult time believing he would be foolish enough to risk damaging his shoulder again. My gut says it's #1. More importantly, my brain says it's #1. But I say that knowing both have been wrong a 1,000 times before. Aaron Cook to the DL with the phantom toe injury. That'll make room in the rotation for Jhoulys Chacin to start on Sunday. 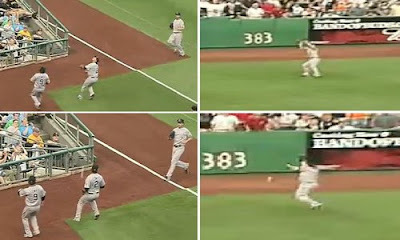 Until then, Chris Nelson will provide an extra body on the bench until Melvin Mora is ready to play again. He's day-to-day with the knee bruise. Remember how the Rockies claimed Wes Hodges from the Indians the other day? The Indians reclaimed Hodges today. So that's your Wes Hodges era in Colorado. 48 hours. More good info on tonight's game comes courtesy of @kristpie and her entertaining Pirates/baseball blog. The Pirates have added a couple former NL West enemies since we saw them last week. Actually they added more than a couple in their separate deals with LA, San Francisco and Arizona -- but the two you'll notice tonight are Chris Snyder and James McDonald. Neither really stood out as a Rockies killer in the past, so not too concerned seeing either tonight. From the Pirates perspective, I think Snyder helps them more than McDonald because he's good at handling pitchers. McDonald fills a nice role though as a SP/long reliever type.